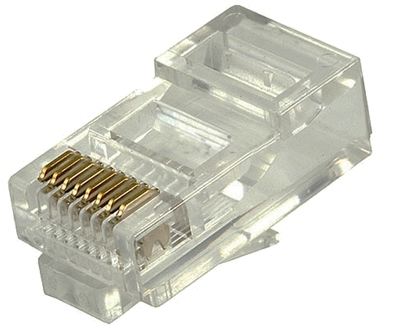 One RJ45 connector for crimping to CAT5, CAT5e, or CAT6 cable. Be sure to use a RJ45 crimping tool. 30 Days Return Policy. Used connectors are non returnable.